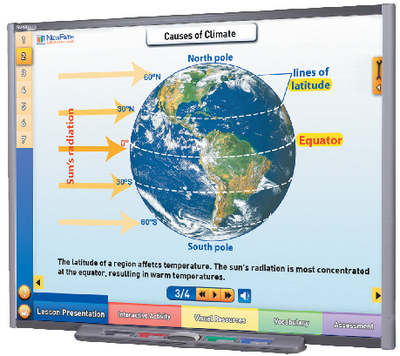 Bring the mysteries of climate change to life with seven interactive activities covered in this lesson, including What is Climate?, Causes of Climate, Climate Regions/Types of Climate, Causes of Climate Change, Short-Term Climate Change, Global Warming, and Ozone Depletion. Also includes Virtual Lab Investigation: Investigating Climate Change. Recommended for grades 6-12. Meets national science standards and state standards for California, Florida, New York, and Texas.